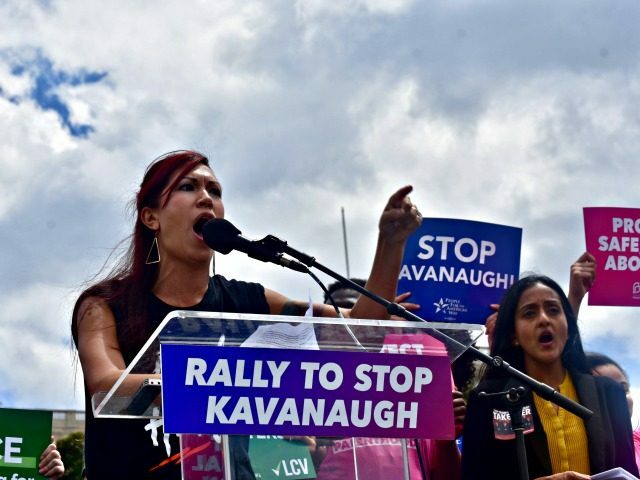 Kristin Mink, the left-wing teacher and activist who confronted Scott Pruitt at a restaurant in the days before he resigned as the Environmental Protection Agency (EPA) administrator, joined an anti-Brent Kavanaugh rally on Wednesday at the Capitol and told the protesters that it was her “right” and “responsibility” to confront a member of President Donald Trump’s Cabinet, and others should do the same. “Do you guys know what it takes to get somebody to resign?” Mink, who has the word VOTE carved into her hair, asked at the rally organized by left-wing groups, including the Leadership Conference on Civil and Human Rights and MoveOn.org. 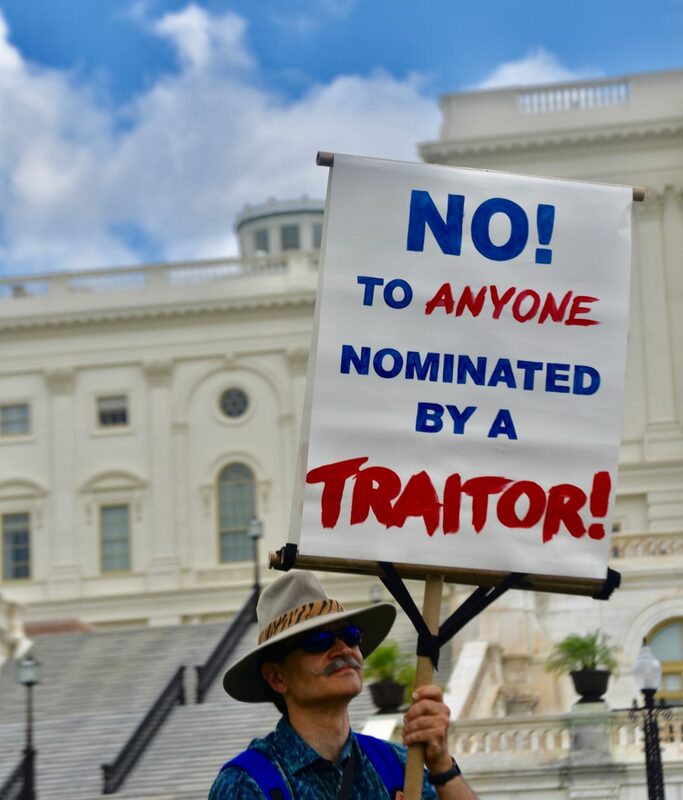 Mink cited Pruitt’s resignation letter to the president that said he suffered “unrelenting attacks on me personally” and said everyone should be “unrelenting” in their opposition to the Trump administration, including the president’s Supreme Court nominee Judge Brett Kavanaugh. “The word of the day today is unrelenting,” Mink said. Mink cited Ady Barkan, who works at the Center for Popular Democracy and confronted Sen. Jeff Flake (R-AZ) on a plane in December 2017 because he opposed the Republican tax cut legislation. She also cited Homeland Security chief Kirstjen Nielsen being heckled at a restaurant in D.C. while she was having dinner and Press Secretary Sarah Sanders and her guests being refused service at a Virginia restaurant. “Because of the actions of these everyday citizens before me, when my time came to be unrelenting, I knew that it was my right; I knew that it was my responsibility,” Mink said about confronting Pruitt. Mink called for the same thing as other speakers at the rally including open borders, LGBTQ rights, gun control and embracing climate change. “We need to tell them that we are watching them and we want equality; we want protection for everyone under the law regardless of sexual orientation or gender identity,” Mink said. “We want clean air and clean water and science to protect us from climate change,” Mink said. “We want common sense gun regulations. We want corporate corruption out of politics. Mink is a sixth-grade teacher at Sidwell Friends school in D.C., the same elite school where former President Barack Obama’s daughters Sasha and Malia were students.